The Fast & Furious movie franchise, which has grossed billions of dollars worldwide at box offices, is responsible for Orlando's hottest new attraction. 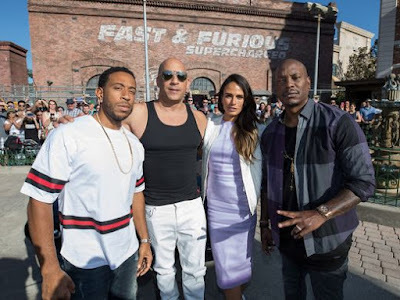 The stars of the franchise were in town over the weekend, and helped participate in the unveiling of Universal Orlando's newest ride to be proud of, Fast & Furious - Supercharged. The movie franchise has created mega stars out of its actors, including Vin Diesel (Dom), Chris "Ludacris" Bridges (Tej), Tyrese Gibson (Roman), and Jordana Brewster (Mia). 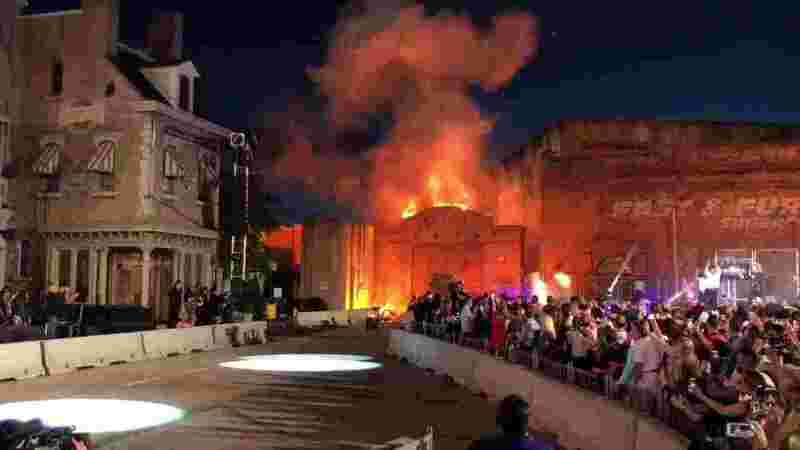 Over the weekend, fans who attended the attraction's unveiling saw an incredible pyrotechnics diplay and car stunts, as the stars counted down to the official opening. Inside, fans got to experience all the attraction had to offer as they were immersed into the world of Fast & Furious. Such inclusions were an authentic recreation of the crew's warehouse, tons of actual props that were featured in the movies, and, of course, a boat load of the actual cars from the films. If you're a fanatic of the movie franchise, or just a fan of fast cool cars, then Fast & Furious - Supercharged is a must do during your next trip to Orlando.